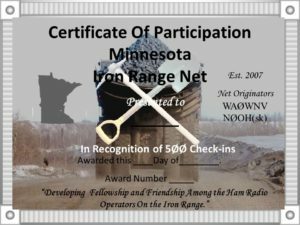 The Iron Range Net maintains a log of all those stations checking into the net, maintaining a running record of the number of check-ins for each station. Certificates are awarded for 30, 100, 300, and 500 check-ins. Ron, WAØWNV, maintains the log records. 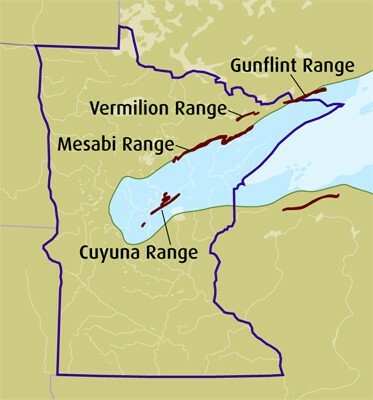 You can contact Ron through the group’s Facebook page by clicking on the logo below.